Challenge and change are the name of the game this month. The driving force of Mars in your energetic sign peaks with the New Moon/Solar Eclipse on the 11th; your best bet, under pressure, is to seek a greater perspective. Best place to do this is out on the beach whenever the Sun shines. Heads up for the Full Moon at months' end--calm, cool and collected is the mantra to keep in mind. Karedwyn Bird has lived in Tofino off and on for the last twenty years. She's been studying astrology for the last ten. You can contact her for your personal reading by email at kjbird911@hotmail.com. 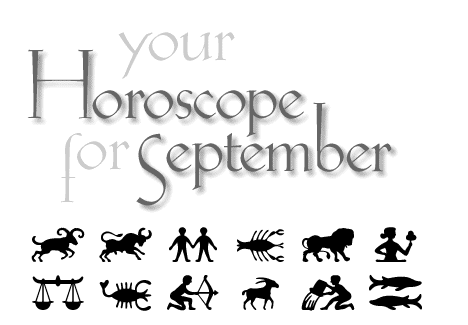 September horoscope for Gemini: Horoscope for September 2007 by Tofino astrologer Karedwyn Bird for Tofino Time Magazine.